In 2010, a Harvard Business Review study found that businesses that prioritised speed to gain competitive advantage ended up with lower sales and profits than those that took time to pause at key moments to make sure they were on the right track. Not only that, the businesses that “slowed down to speed up” averaged 40% higher sales and 52% higher operating profits over a three-year period. It seems paradoxical! How can you move quickly by slowing down? But it's no coincidence that the most successful business leaders are those that regularly make time to reflect, review, check and learn. This programme gives you a structured process to do exactly this. By slowing down to speed up, you will be confident that the marketing decisions you are making are carefully considered, examined and tested before they are put into action. You will have a robust strategy in place that will save you time and money in the long term by ensuring that every marketing activity you undertake is effective in getting you closer to your goals. Evaluate and discuss any changes in your marketing objectives, your target customers/market and your proposition. Review your marketing strategy and check it is still appropriate. Check your planned marketing activities are in line with your strategy. Prioritise your marketing activities so that you know where to focus your resources and what can safely be parked for now. 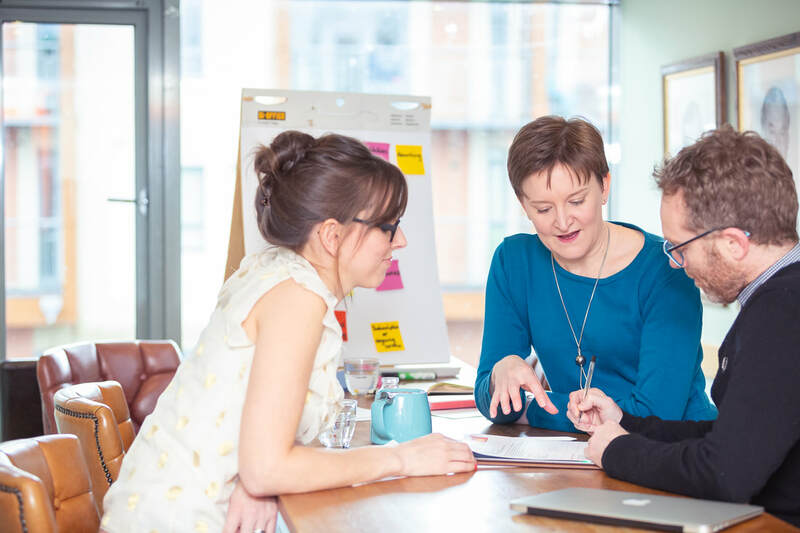 Identify any gaps in your marketing knowledge and spend time undertaking focused and tailored training to equip you to run the business you want. After the workshop I'll send you a summary document outlining what we discussed, your priorities for the upcoming quarter and any preparation required for the next workshop. If required, we can schedule monthly 30-minute "maintaining momentum" calls in between the workshops to discuss your progress, coach you through any unexpected issues that have arisen, and help you set your marketing tasks for the month ahead. I can also update your strategic marketing plan following the workshop to reflect the outcomes and actions we have planned (POA). However, since strategy is always important but rarely urgent, I recommend clients commit to one of the following programmes so that these activities are prioritised and scheduled in regularly. These workshops are only effective if they happen regularly. To ease your cashflow and motivate you to prioritise the workshops, I offer this programme for a fixed monthly fee in a rolling 2 or 3-month cycle. If you decide to cancel within the first 12 months you will be invoiced for the remainder of your current 2 or 3 month cycle. If you decide to postpone a workshop into the next month, you simply have an extra "Month 3". Marketing strategy is always important but rarely urgent. This programme helps you prioritise strategic thinking by forcing you to set aside time every quarter to slow down, step back and gain perspective on your business and marketing strategy.